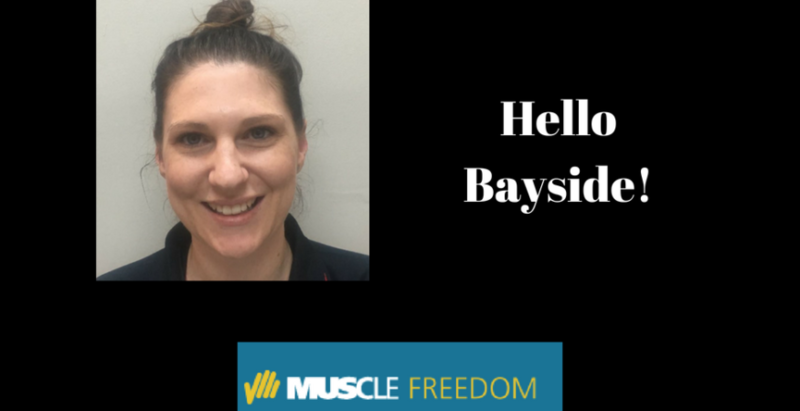 It’s only been a month since remedial massage therapist Katherine Cross started working at Muscle Freedom, but she’s already developing a loyal following. In this blog, discover why Katherine chose this career path, what she enjoys about it and her secret vice. Why did you become a remedial massage therapist? I didn’t know what I wanted to do when I finished school, but I always loved the body and how it moves. I was lucky enough to go along to Victoria University and listen to their osteopaths talk in a seminar. There was a guy talking about human movement and the breakdown of how he looks at the body. I thought it sounded fantastic, so I looked into it. I didn’t have the grades for physio, so I did the backdoor entry and went with remedial massage. From there, I worked for two years, then did my Certificate IV in Fitness. That really helped me with the sports side of my treatments. I started out working in Hoppers Crossing. After five years I branched out and found a sports massage clinic in Port Melbourne. The rest is history. I love that you get results straight away. You don’t have to wait to see the outcome of your work. That’s the main thing I love, and when people have that light bulb moment to say ‘oh, that’s what it is’. A lot of what I do is about educating clients as to not only what’s happening to their body, but why their dysfunctions are occurring and what they could be doing to facilitate that. Once they figure that out, that’s the first step to getting them on to the right path. Do you have any specialty areas? I treat everything. It’s good to have that all-over approach. That way, if someone comes in with a sports injury you can assess and treat it accordingly, but if a desk worker comes in with a headache or sore lower back, you know what to do too. It’s good to have your finger in all the different pies. Cherry Ripes and Turkish Delights. I’m that weirdo who goes for those out of the Favourites box. Katherine is available Wednesdays and Fridays. To make an appointment, please use our online booking system or give us a call on (03) 9598 4873.